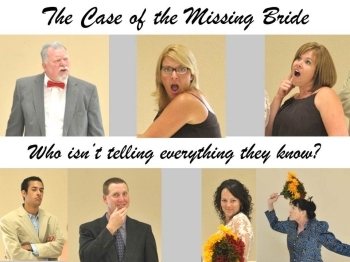 When the bride disappears right before the ceremony, the bridal party comes under suspicion. Who wants to stop the wedding badly enough to commit a crime? The audience helps piece together the evidence to solve the case. Cast: 5M, 7F, 1 either. Run time 90 minutes.